Ms. McGeehan received her bachelor's degree in Criminal Justice with a minor in Political Science from Northeastern University in the spring of 2001. While at Northeastern, Andrea interned at the Suffolk County House of Corrections where she worked with the Youth Gang Panel and assisted with drafting the Policies and Procedures for Prison Accreditation Implementation (CARF). From 2001-2004, Ms. McGeehan attended Suffolk University Law School, where she received her Juris Doctorate. While at Suffolk, she worked as a legal intern at the United States Attorney's Office in the Economic Crimes Unit, Committee for Public Counsel Services (Boston), and the Juvenile Justice Center. 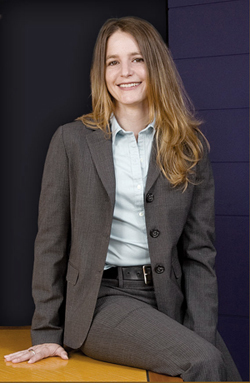 From 2002 to 2004, Ms. McGeehan represented Suffolk University Law School as a member of the ATLA Trial team. Ms McGeehan received the Thomas J. Drinan Fellowship during her second year of Law School. The Fellowship is awarded to the student who demonstrates a commitment to the highest standards of integrity and advocacy within the Criminal Justice System. From August 2005 until October 2009, Ms. McGeehan worked as an Associate in the private sector for a Criminal Defense Firm, Murphy & Associates, PC. She represented clients in all of the firm's practice areas, including civil litigation, criminal law (state and federal court), and white-collar criminal defense. In 2009, Ms. McGeehan received recognition in both Boston's Best Lawyers 2009 Edition and Boston Magazine's New England Super Lawyers/Rising Stars. On November 1, 2009 McGeehan Law, LLC was formed. Ms. McGeehan's practice areas include criminal law, criminal defense/white collar crime, civil litigation, and general business litigation. In addition to private practice, Ms. McGeehan continues to represent indigent clients as a Bar Advocate in both Norfolk and Suffolk Counties. Ms. McGeehan is admitted to practice in Massachusetts and before the United States District Court for the District of Massachusetts.